The Project Communications Management Plan is a component of the Project Management Plan that describes how, when, and by whom information will be administered and disseminated. Plan communications management is the process of developing an appropriate approach and plan for project communication activities based on the information needs of each stakeholder group, available organizational assets, and the needs of the project. Manage communications is the process of timely and appropriate collection, creation, distribution, storage, retrieval, management, monitoring, and the ultimate disposition of project information. Monitor communications is the process of ensuring the information needs of the project and its stakeholders are met. 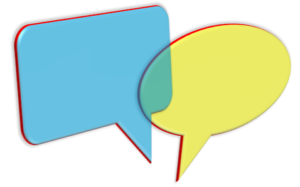 How my Project Communication Plan can help you? A project communication plan is a document that outlines target audiences and their communication expectations including the mode of communication, frequency and the subjects to be communicated. During the planning of the communication basically nothing is done but to evaluate who needs to get which information and when, how often, in what way, by whom and with what content. The result is the Project Communication Plan that is part of the overall Project Management Plan. Here my Project Communication Plan Template can be helpful, in which already the necessary preparatory work is done and therefore only needs to be provided with the specific details. Manage Communications is the process of timely and appropriate collection, creation, distribution, storage, retrieval, management, and the ultimate disposition of project information. 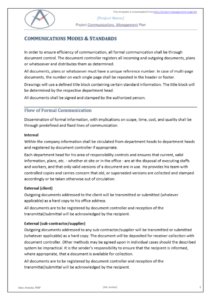 This is mainly about participating in agreed regular meetings and to present, share or otherwise provide required information, as well as sending regular reports and other correspondences and updated records with the specified contents through right channels and to the appropriate addresses, as well as processing such received information and to respond within agreed timelines as appropriate. In project management, the adherence to deadlines and the provision of information is an important factor that has impact on the project success. It is therefore important to pay attention to compliance with the same even in communications management. My communication plan template already contains the individual common subject areas that a good communication plan must cover. It is therefore easy to use my communication plan template and adapt it to the requirements of each individual project. Why is a Project Communications Management Plan Important? How can the Communication Plan Template help? It is said that a project manager spends the vast majority of his time communicating. This explains why sufficient attention should be paid to this component of the Project Management Plan. Dropping meetings, forgetting to send reports, or similar omissions can have different consequences. On the one hand it damages the reputation in reliability, on the other hand it can have considerable time impacts and also cost-intensive consequences if certain information is not provided or provided too late. This may be the case, in particular, when documents have to be submitted for examination and approval and, if necessary, re-submitted in revised version. The details of who, when, how, how often and what content is communicated must be therefore evaluated in time and set out in the Project Communications Management Plan. 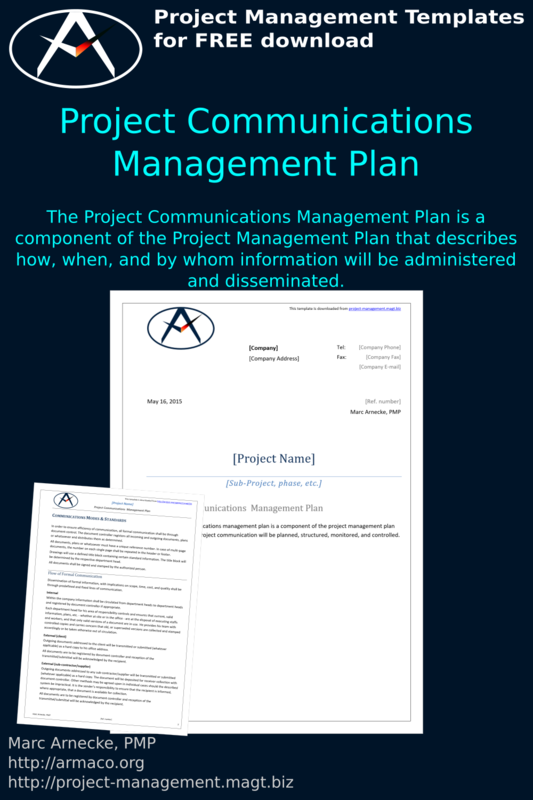 A Project Communications Management Plan should be a written document for your own reference. Each client, each project management team and each type of stakeholder usually has their own communication needs. While some prefer to solve things quickly and easily on the phone, the other prefers something in writing. While one needs a daily progress report, the next one needs a monthly status. 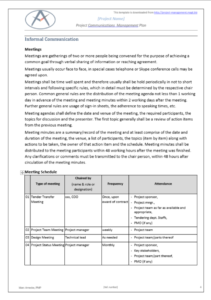 Often, additional meetings are required in which often weekly and monthly reports are discussed. What else? Once you have an understanding of the team and clients you’re working with, you can start to apply this direction to a Project Communications Management Plan of action. Think about what successful project communication will look to not just your client and stakeholders, but your team as well. This list will remind you throughout the project of your ultimate goals, and will guide communication-related decisions accordingly. Define your approach to the communications you’ll have throughout your project. Knowing the goals of your project, consider how frequently you’ll communicate with your client and other stakeholders, what method of communication to use, and what information to include. You might have to use multiple approaches, like weekly and monthly face-to-face meetings, daily, weekly and monthly reports etc. Whatever you decide, keep your parameters and goals in mind—these should really help you identify what types of communication will be most beneficial to bringing your project to success, and how detailed or thorough certain parts of your communications will need to be.